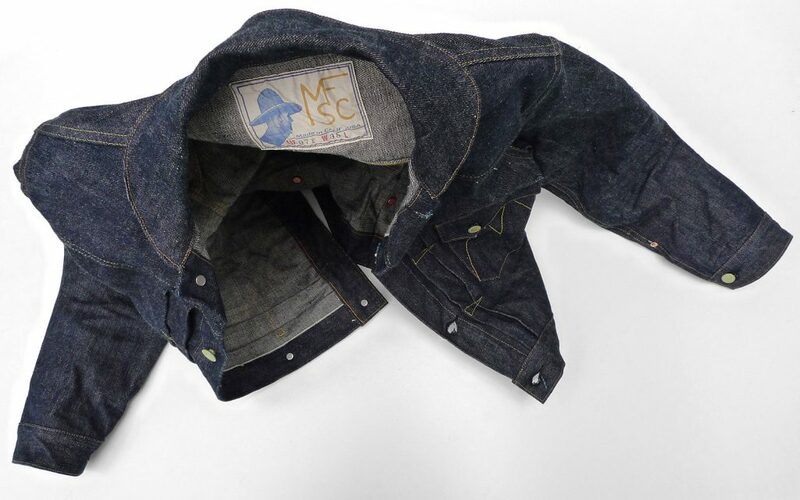 « Introducing MF® “SURPLUS”, mfsc FW2017, made in Japan. 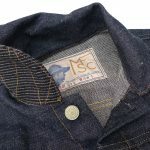 Mister Freedom® Ranch Blouse & Californian Lot.64 Buckle Back “Okinawa”, made in USA. 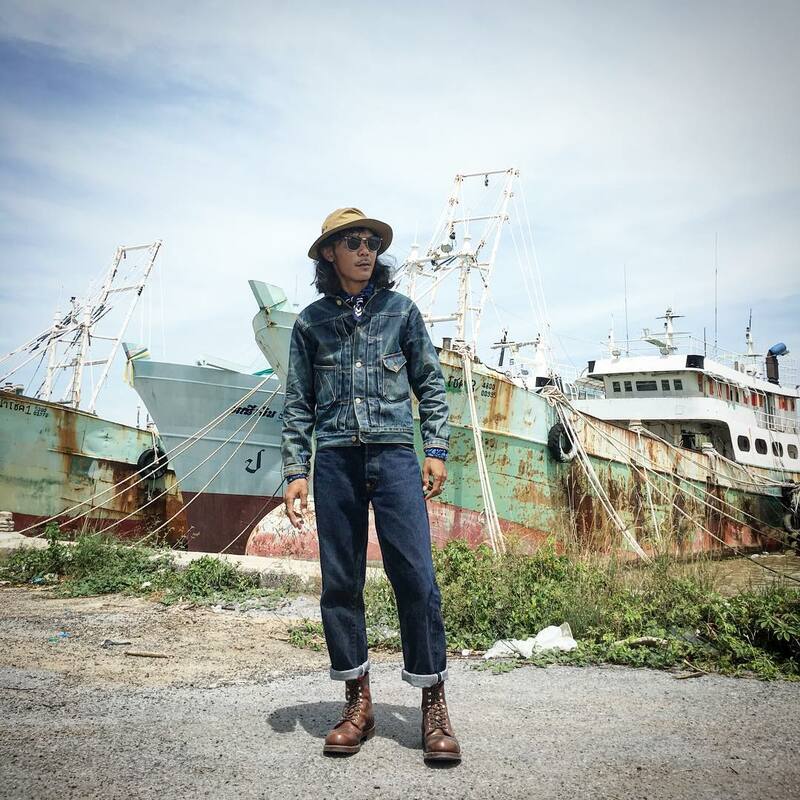 Mister Freedom® Ranch Blouse & Californian LOT.64 BB “OKINAWA” edition. 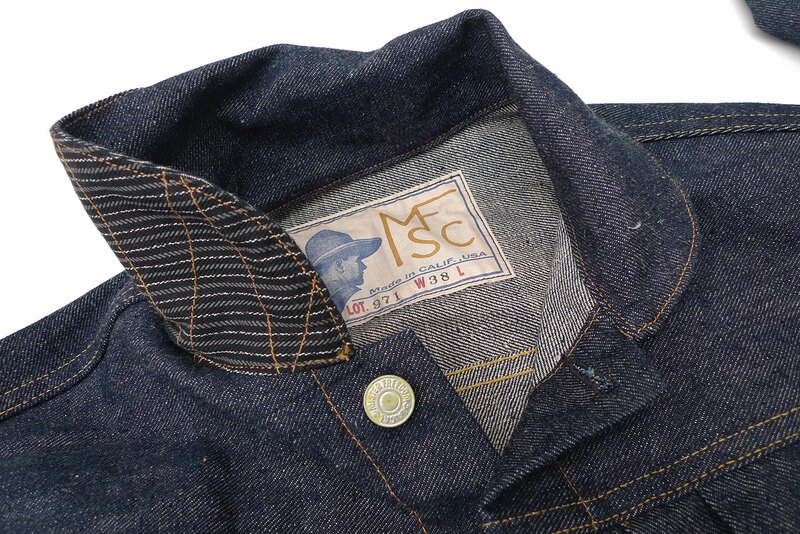 We are giving our original Ranch Blouse and classic Californian 5-pocket Blue Jeans a new handsome skin for Fall 2017, adding the updated version to our catalog of made-in-USA goodies, regrouped under MF® The SPORTSMAN label. 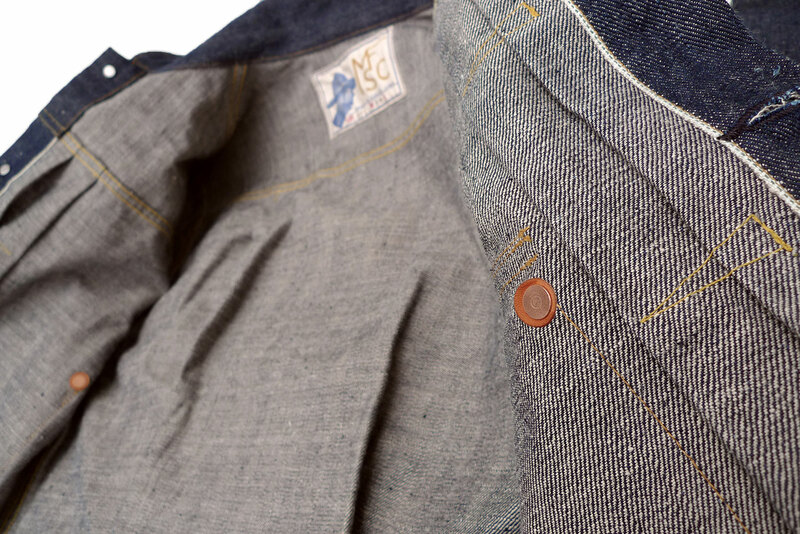 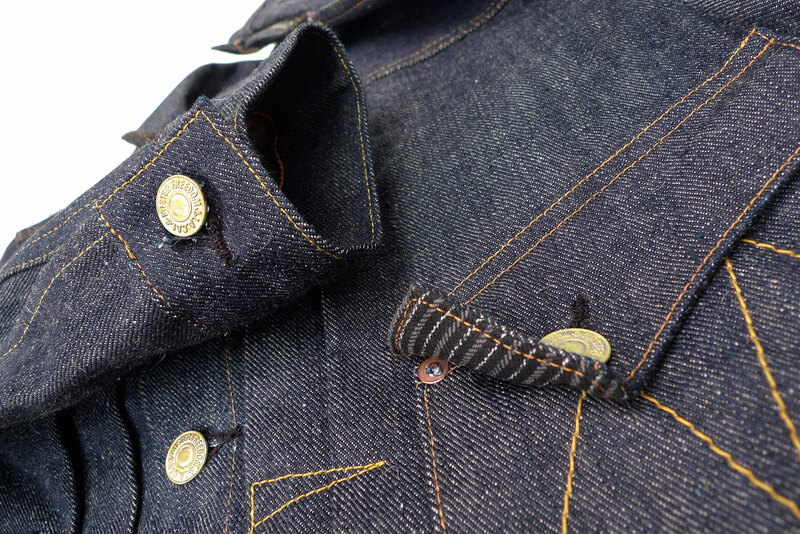 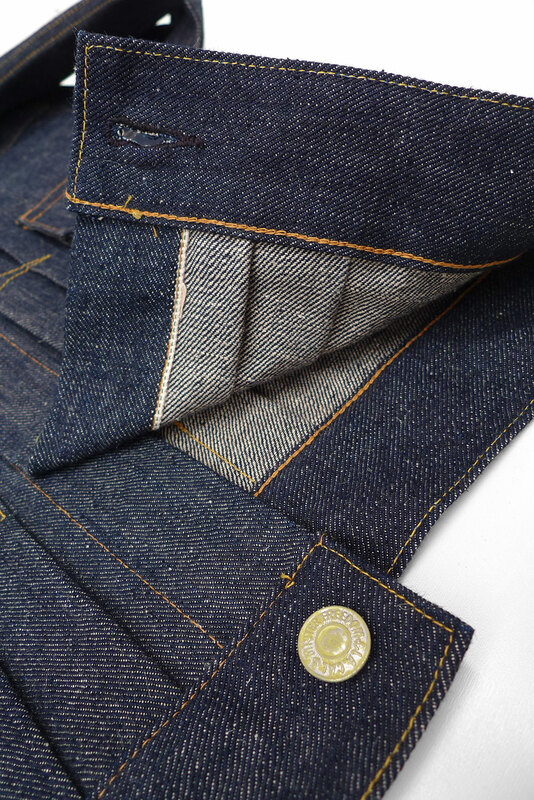 This fabric option is an old mfsc favorite, the mighty “Okinawa 301”, a ‘hairy’ 14 Oz. 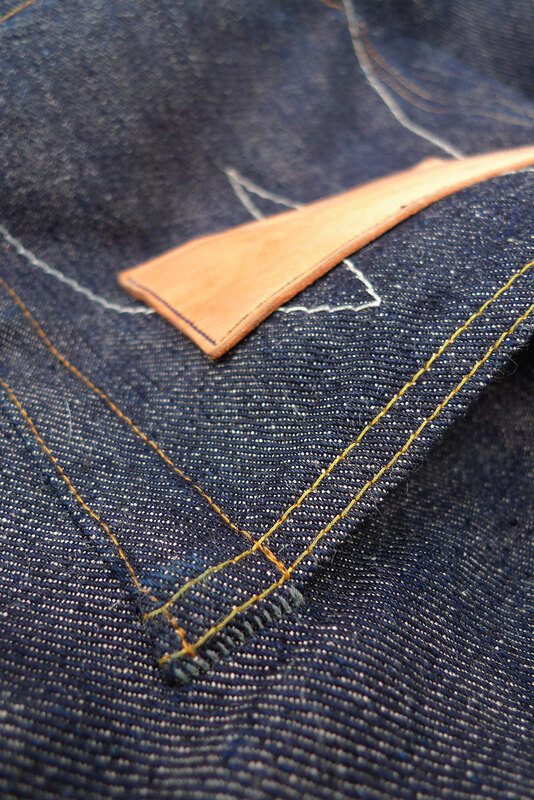 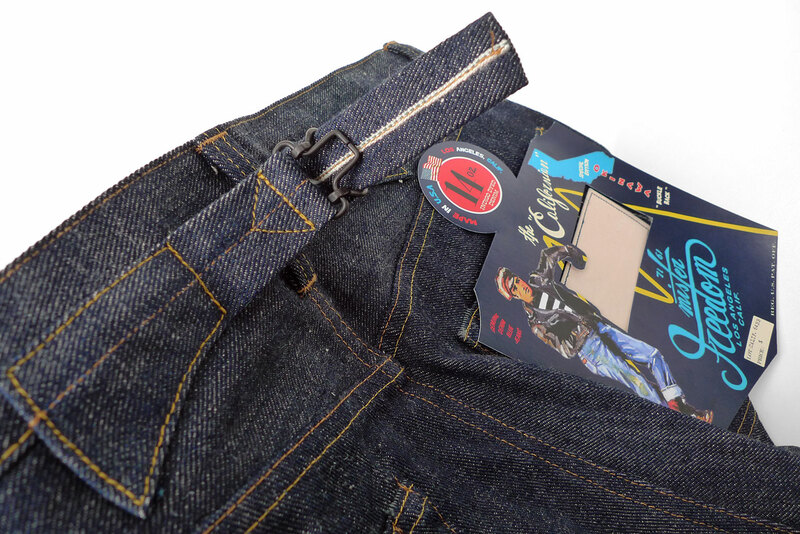 left-hand twill indigo denim, blend of 50% sugarcane fibers and 50% cotton, with a white/green line selvedge ID. 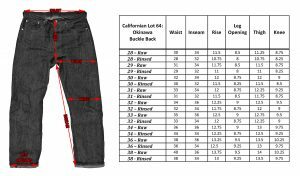 For the occasion, we also tricked-out our Californian LOT.64 by adding a rear cinch (aka buckle-back), thereby introducing yet another member to the Californian family, the LOT.64 BB “Okinawa” with its midnight blue flasher. 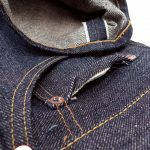 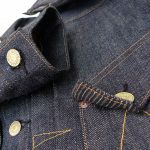 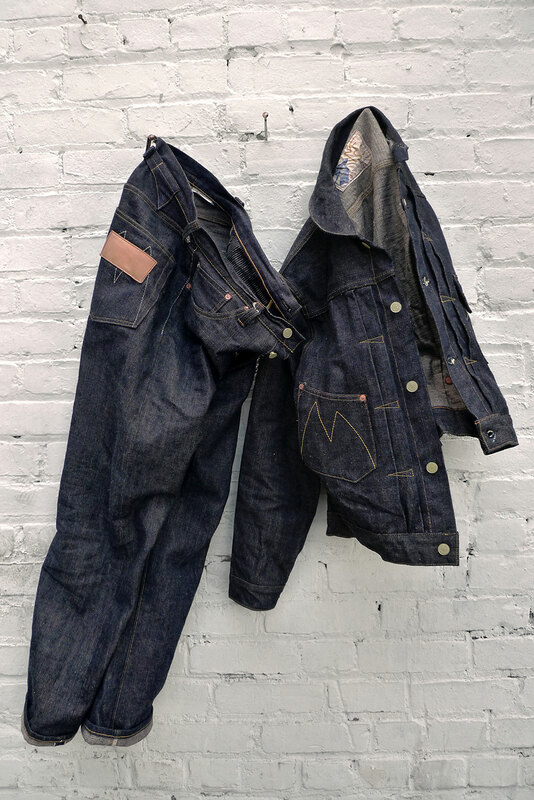 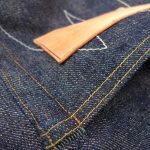 The “Okinawa” denim has enviable fading abilities and will progressively develop a desirable patina overtime, with normal wear/wash cycles. 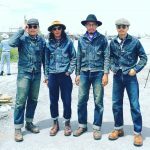 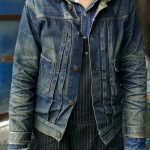 However, it is less the denim type than the actual wearer that should be credited for amazing fade patterns, as demonstrated by the few jaw-dropping worn specimen of MF® Ranch Blouses sported by friends from Thailand, members of the Pronto Denim gang of workwear aficionados. See some examples below. 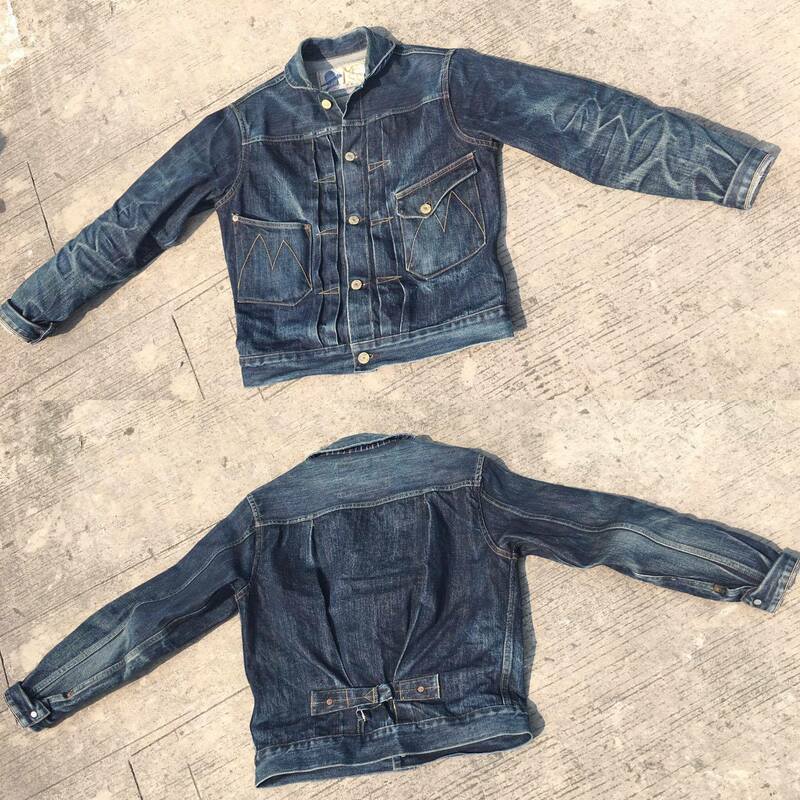 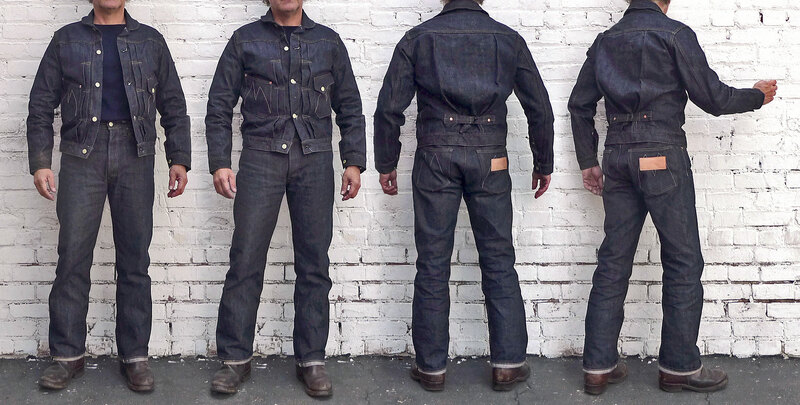 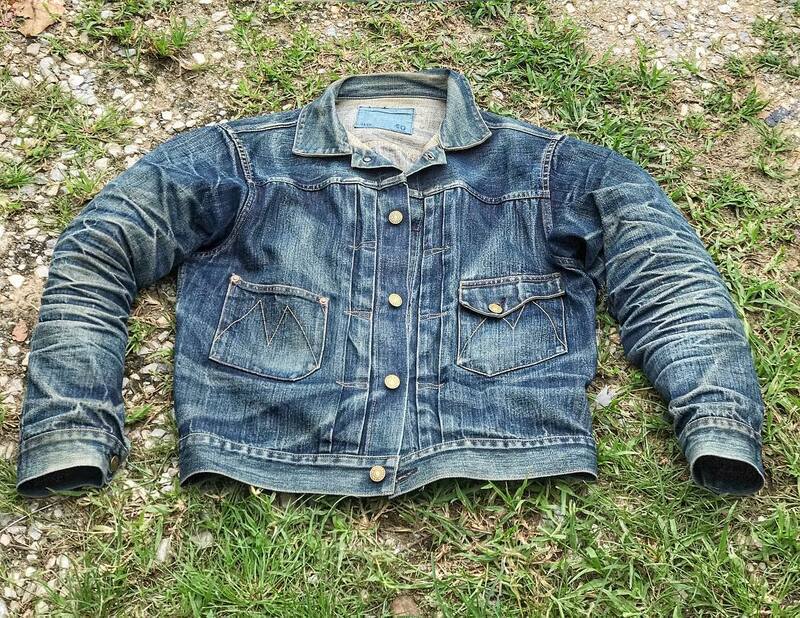 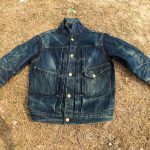 Not sure what this fine crew does to those jackets, but the results are incredible! 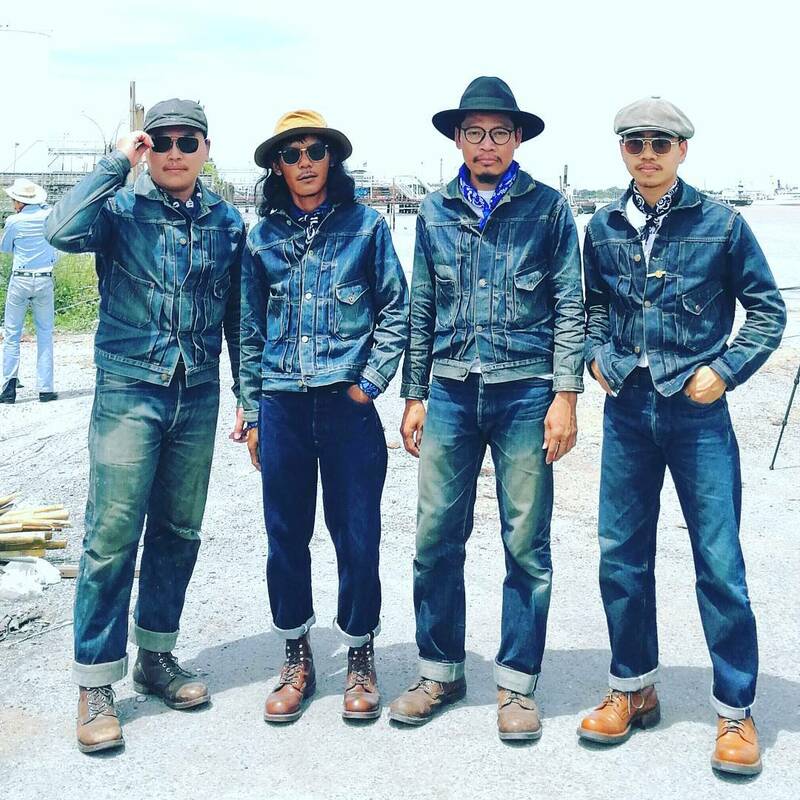 Thank you for the commitment and support, Gentlemen. 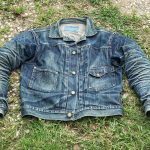 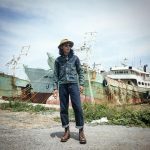 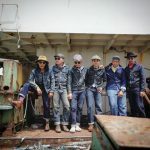 Don’t hesitate to submit a photo (hi-res) of your worn Ranch Blouse to sales@misterfreedom.com (with your full name for proper credit), we’ll happily add them to this gallery and our Mess of Blues line-up! 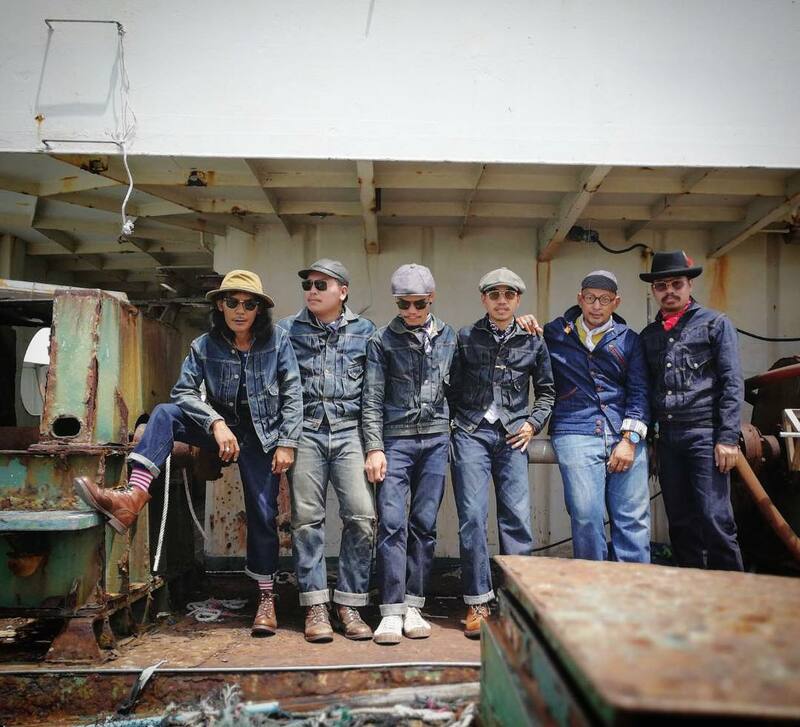 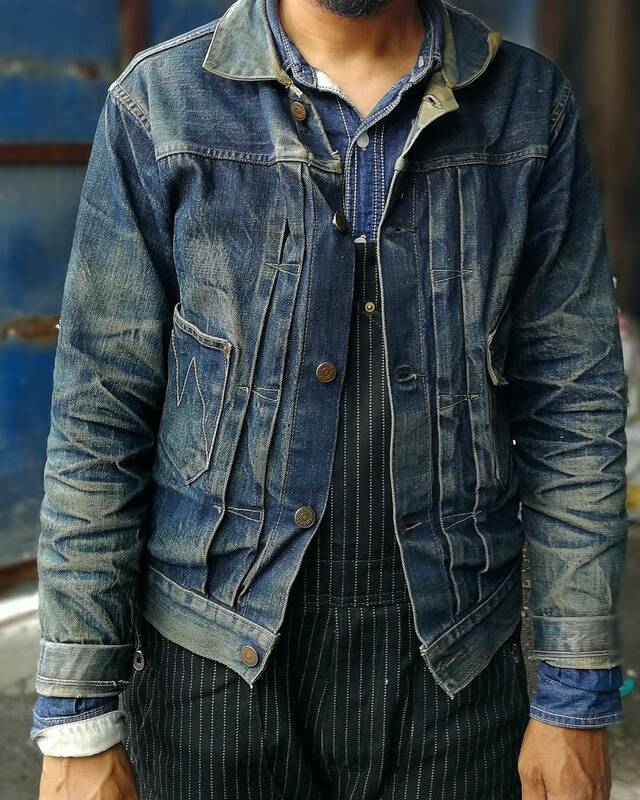 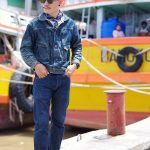 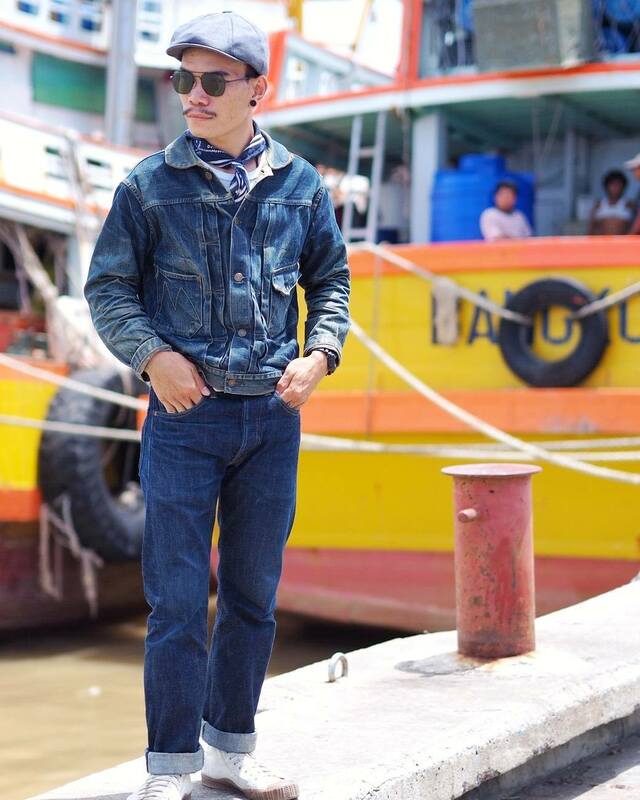 For more cool photos from this fine denimhead community, check out the Mister Freedom® Thailand Gang Facebook group. 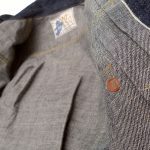 VintageFrench New Old Stock (NOS) woven stripe workwear twill, 100% cotton. 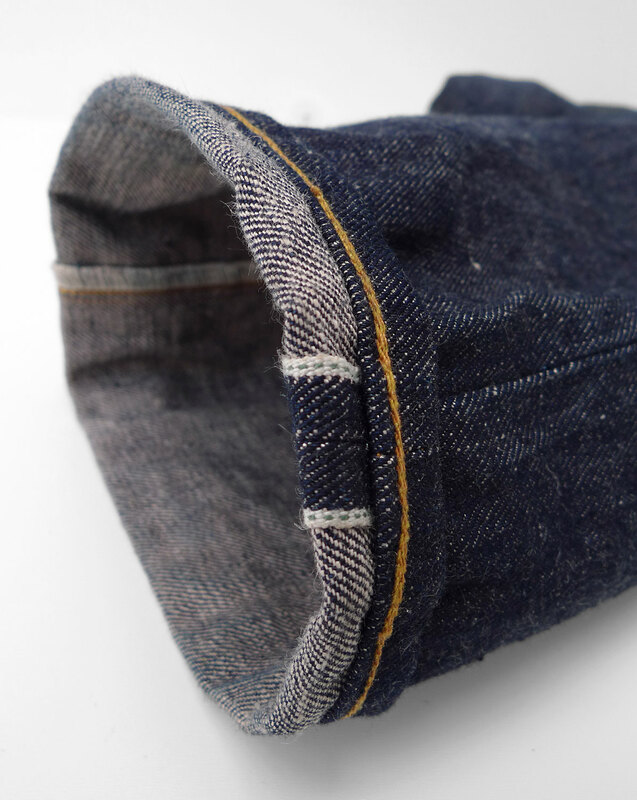 * French vintage NOS stripe fabric pocket bags. 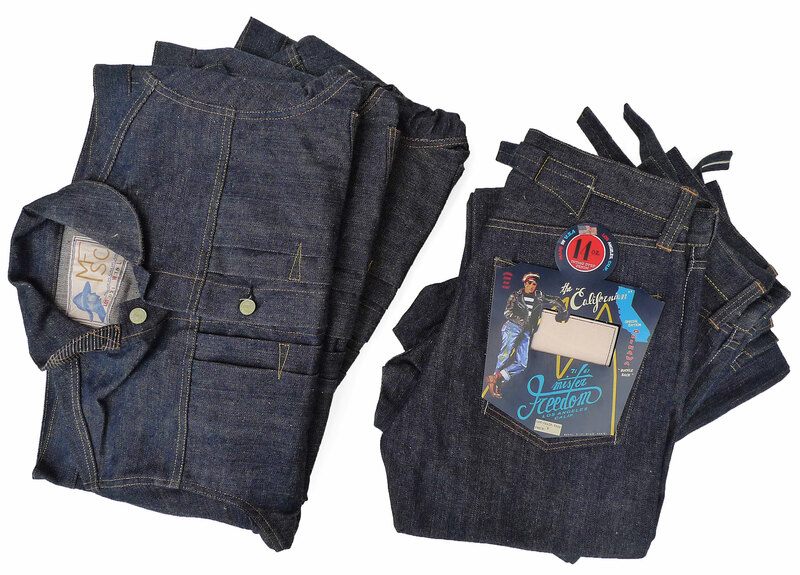 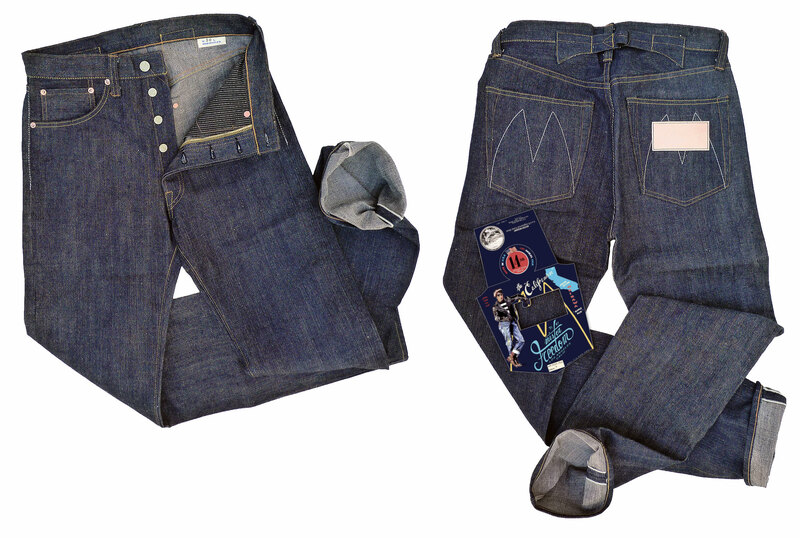 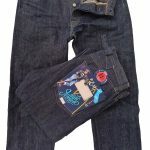 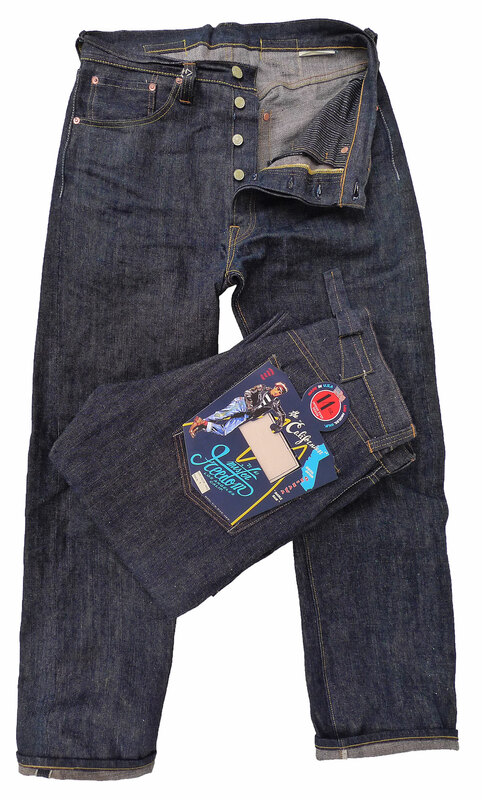 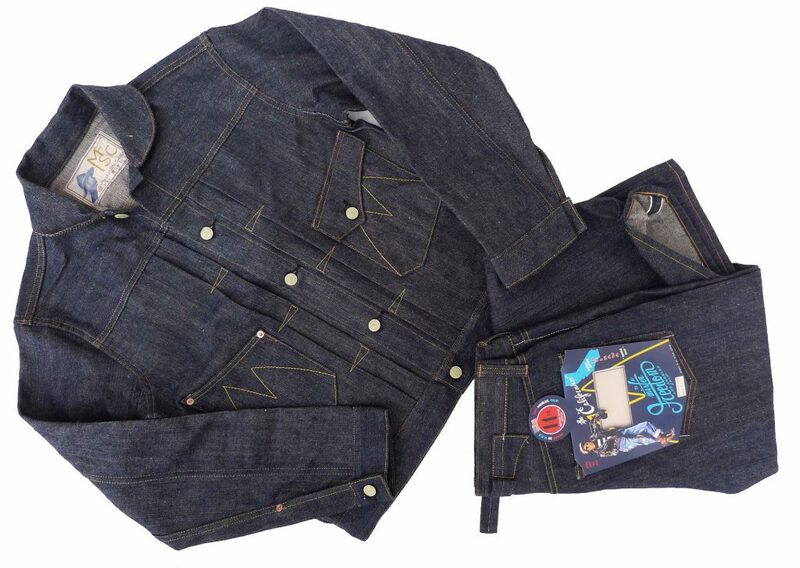 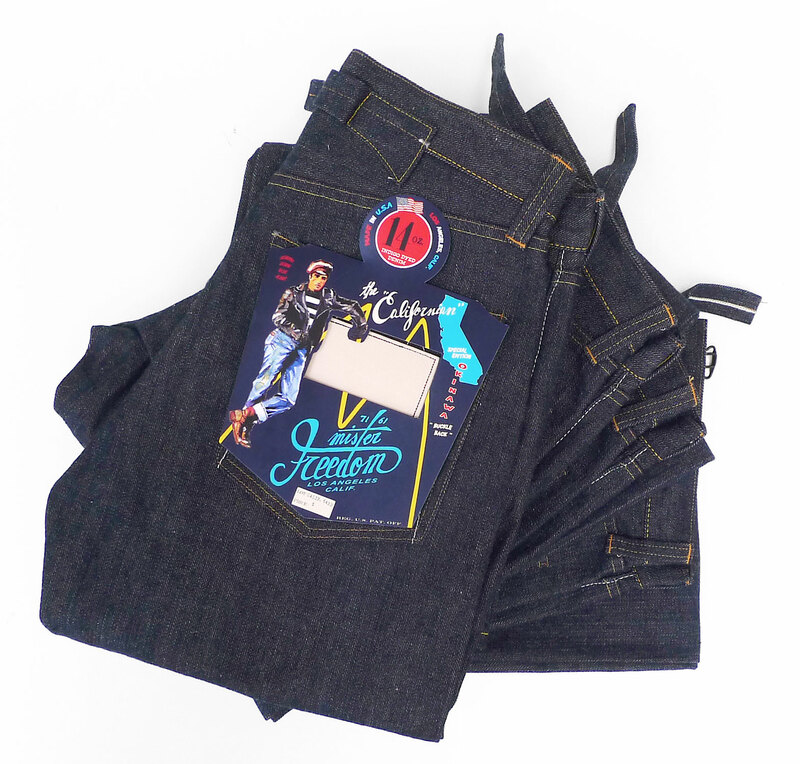 * Original MF® paper pocket flasher (midnight blue). 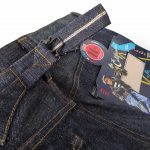 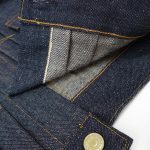 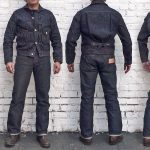 The Californian LOT.64 BB “Okinawa” blue jeans come UN-WASHED and are cut so that the measurements match the labeling AFTER an initial cold soak/line dry. 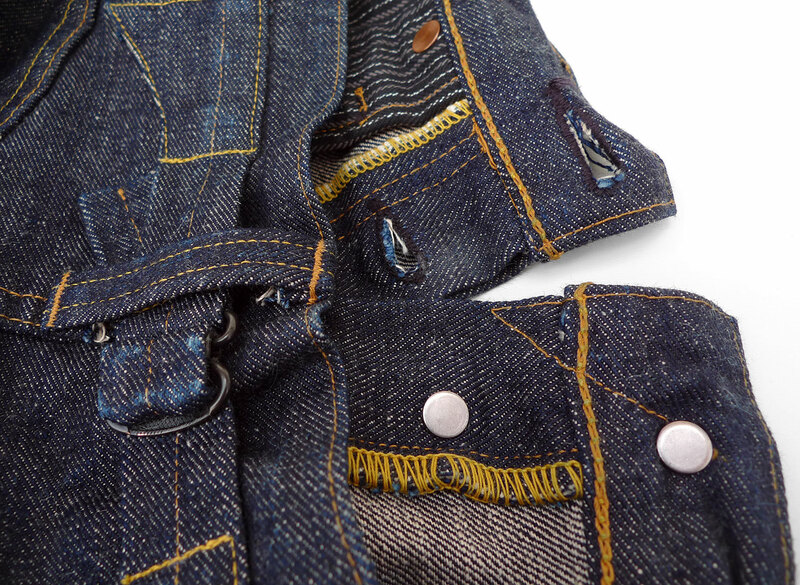 A tagged W32 x L34 will shrink to approximately 32 inches x 34 inches after a soak/dry process. 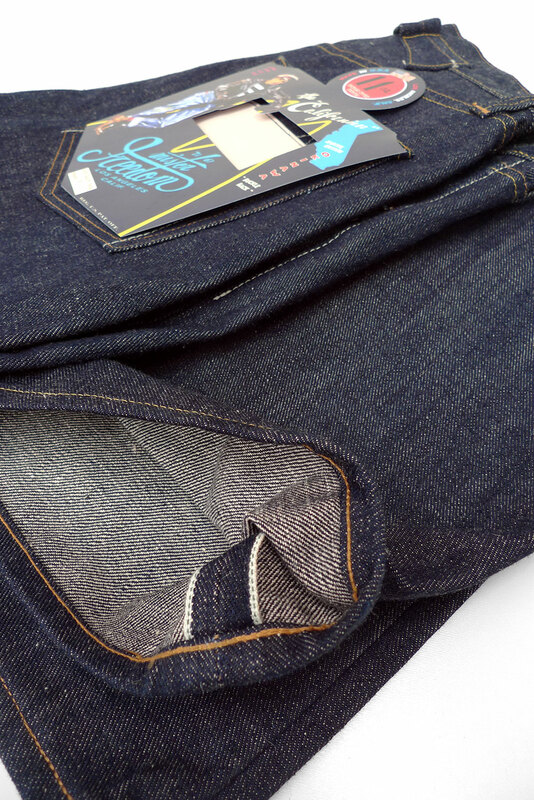 The size that will work for you depends on how you like your jeans to fit. 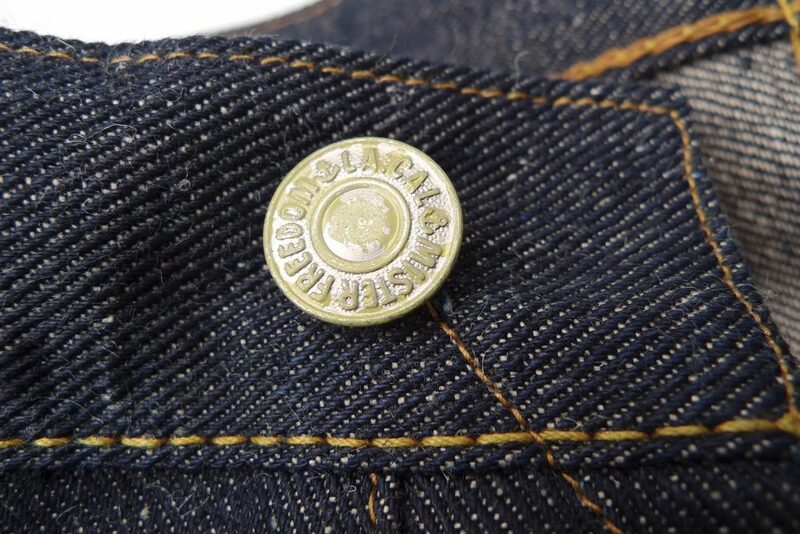 I wear my usual Californian blue jeans W32 in the LOT.64 BB, for a comfortable fit. 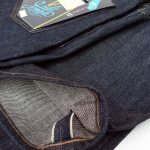 The fit pix show a pair of W32, cold-soaked once, worn on/off for about 1 week, with some more shrinkage/stretching down the line. 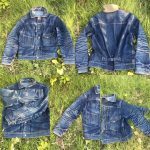 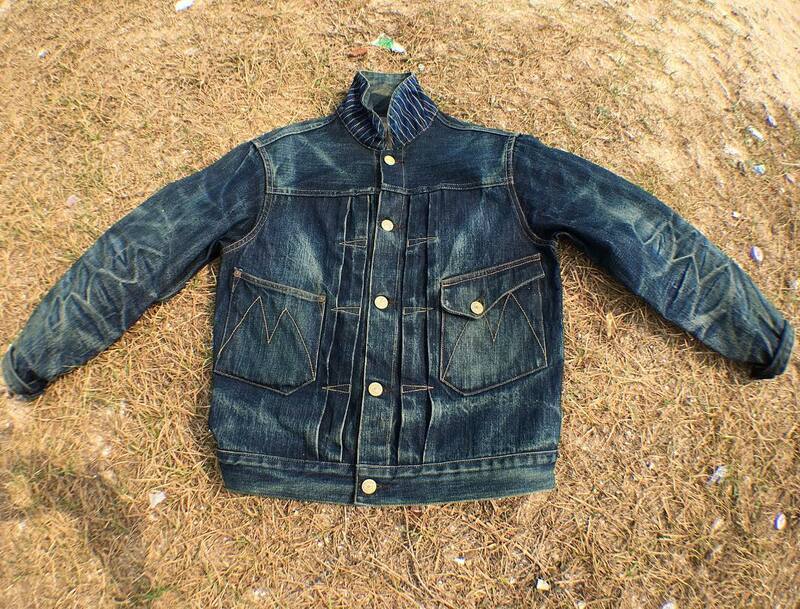 Wash denim jeans and jackets when needed. 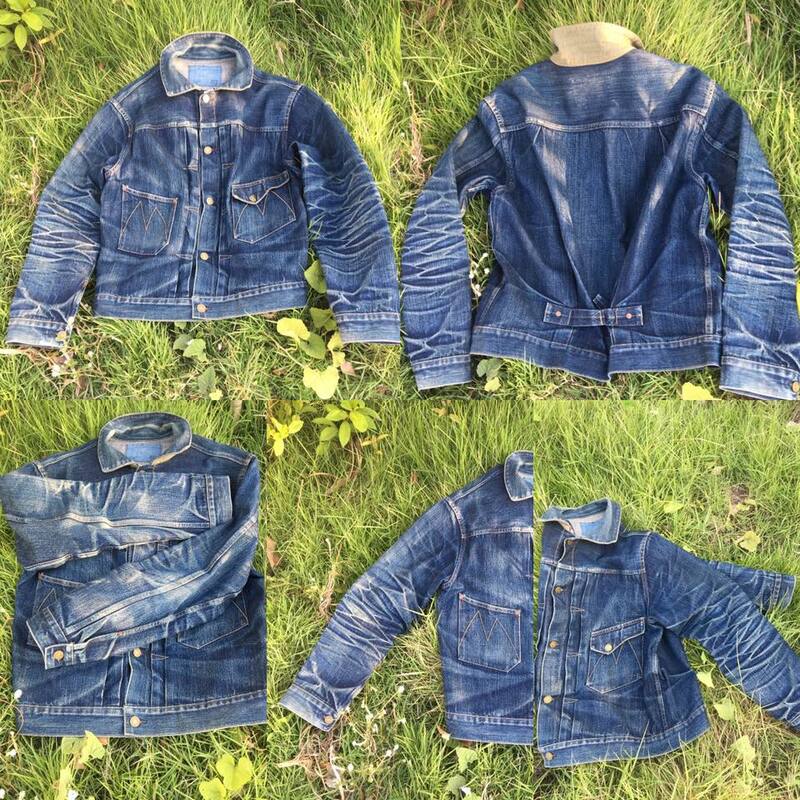 Machine wash inside out to avoid marbling. 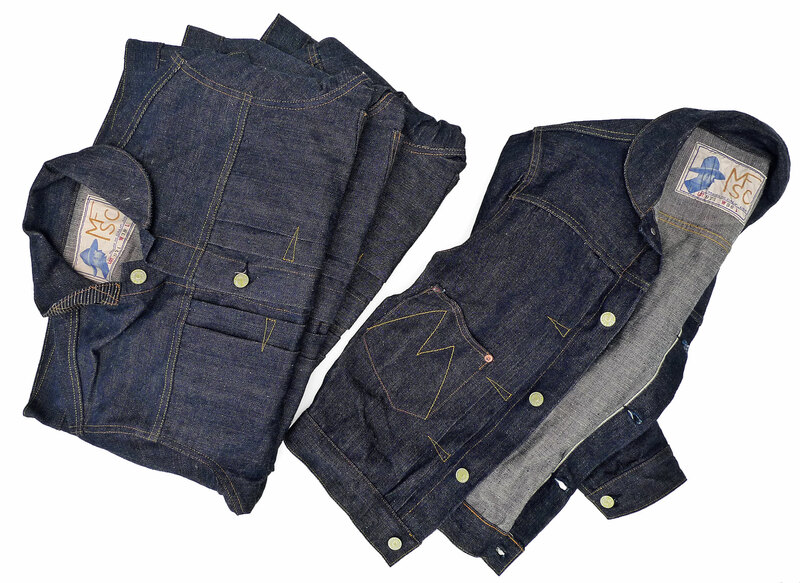 Cold water, gentle cycle, eco-friendly mild detergent and line dry. 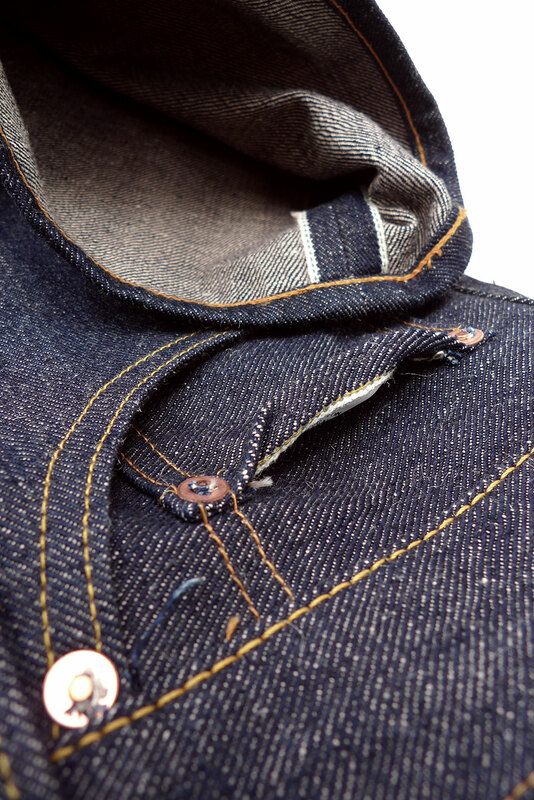 Wash separately from light-colored garments. 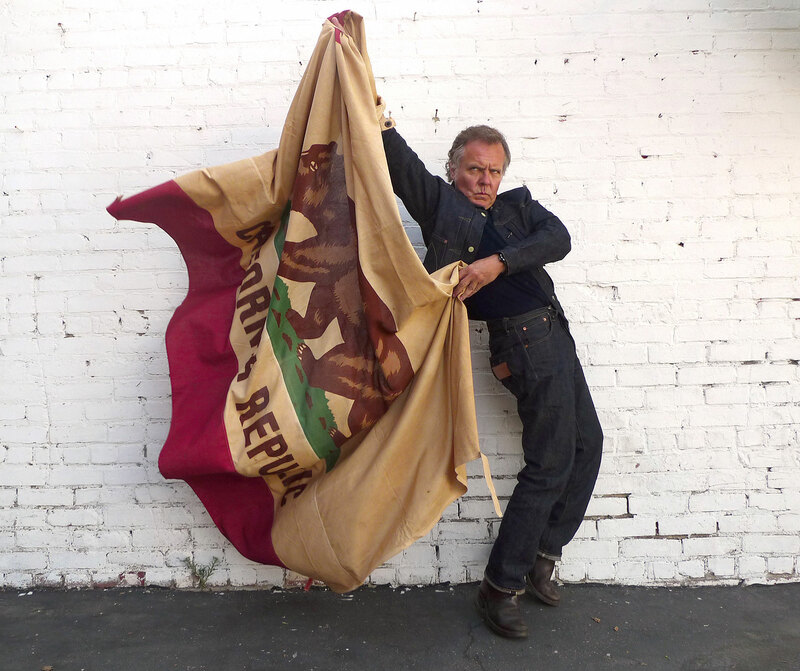 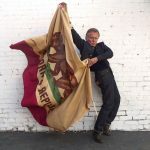 Available from www.misterfreedom.com, and our Los Angeles brick & mortar store.